An accounts storage and seat allowance can be split between organisations, that sit under the one umbrella, which you can find out more about that here. This article concentrates on the organisational administrator and what extra levels of access they have over project users (including project administrators). This extra layer of access grants the right to create projects, users, groups and abilities for that specific organisation. You can tell if you are one of the chosen ones by looking at your black menu sidebar, which would show the name of the organisation, along with a building icon. You can see above, you give the project a title and then you can choose which organisation you would like to own the project. Then you select which server location you would like it to live. 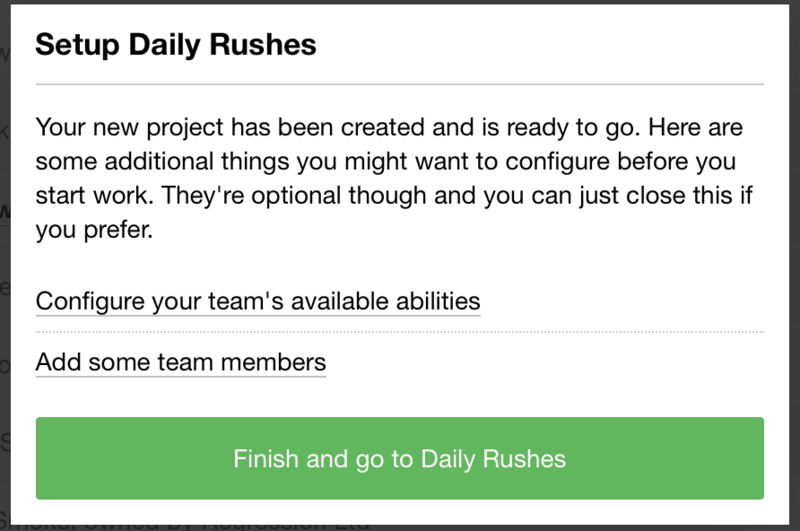 When you choose &apos;Create project&apos; the following screen will allow you to set the abilities for this project, along with being able to add team members. 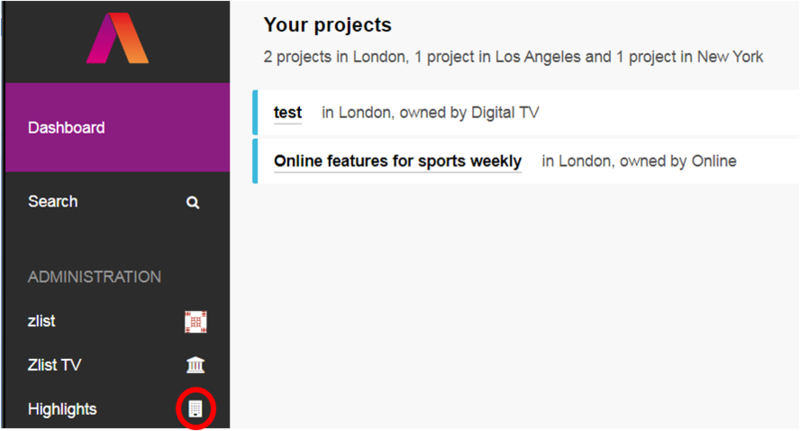 You can finish and go into the project or just select any area away from the set up window to return to your dashboard. You can see which organisation owns a project on your dashboard, which you can filter against, using the filters on the right of your dashboard. 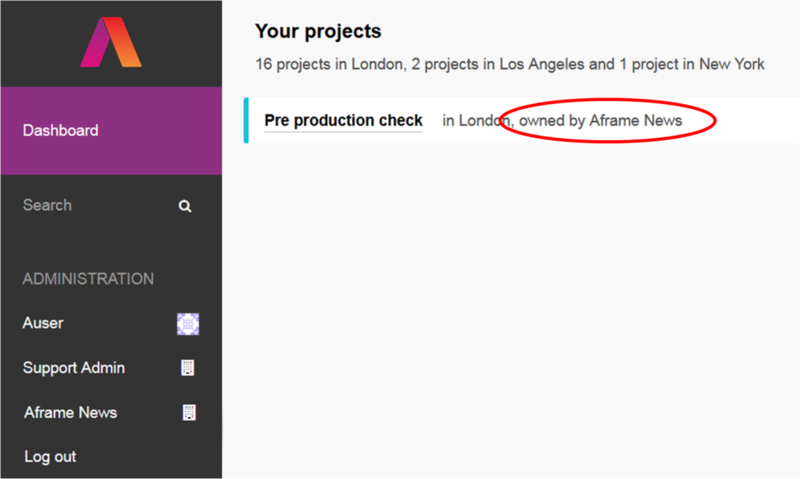 You can switch the ownership of the project by going into it and choosing the settings menu, see here. The second part of an organisational administrators abilities are the organisation menus, indicated on your black menu sidebar with the building icon. Selecting the name of the organisation will bring up the extra menus that control that organisations projects, users, groups, abilities and theme. The changes you make within these menu are specifically for the organisation selected only. The menu that you initially land in is &apos;Projects&apos;. The features here give you the option to administrate multiple projects at the same time. You can create, add/remove team members, make inactive/active and delete. 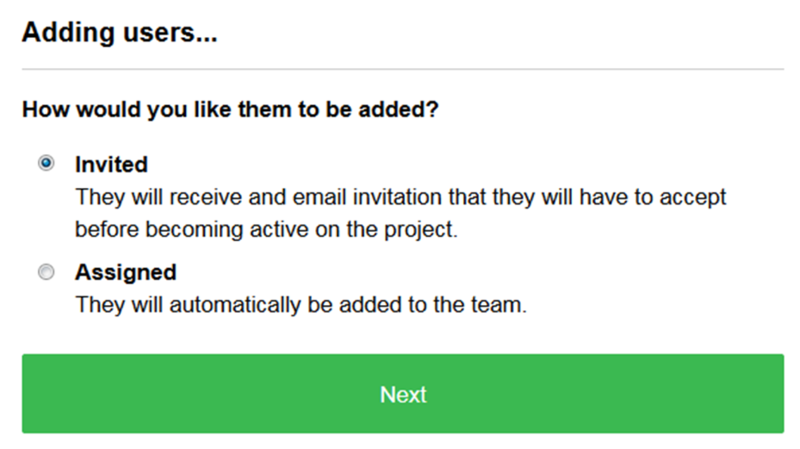 Creating a project works in the same way as it does from your personal dashboard, select the big green button in the top right corner, give your project a title and then choose whether you want to change any project abilities or add team members. Deactivating a project mean that it will not show, by default, in team members of that projects personal dashboard. The material can still be accessed by the team using a filter but its a way of removing it from initial sight. You can see more on deactivating and reactivating projects here. Delete does what it says on the tin, choose it to delete a project and all its content. The users menu allows you create and manage users within the organisation selected. You can see in this area, you can use the &apos;tick&apos; boxes to select all, one or multiple users. Back at the Users menu, you will also see the &apos;Create user&apos; button in the top right of screen, selecting this allows you to create a new user. These users will be managed by your organisation, meaning you are in control of their personal details, passwords and email addresses (if they have one). This feature allows you to create users, so that they can be added to projects and you can provide the end user with their login details, all set up ready to roll. Note: Creating a user with no email address means that they cannot request a password reset link (an account or organisation admin will need to change it). They will also not be able to access share links sent with &apos;require login&apos; security. 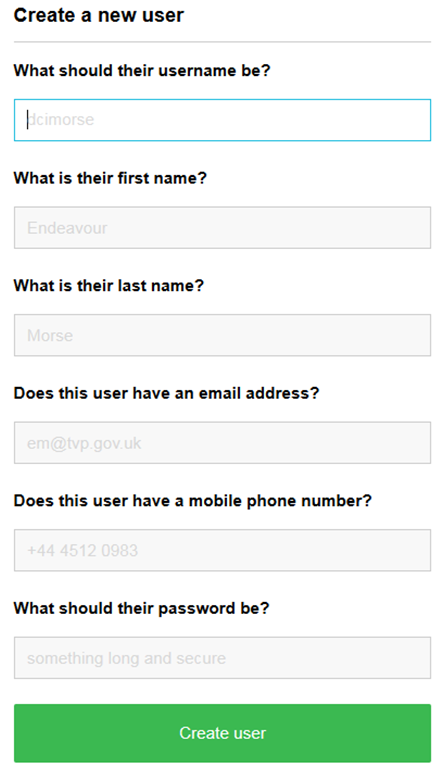 If these user types are invited to a project by username, they can accept their invite via their dashboard. Once you create a user, you will be return to the list of users within the organisation. If you want to manage a user, just select their username and you will see the options available. The options will differ depending on whether the user is managed or not by your organisation. You can see on the list of users who is managed. Non managed users can have their projects and group associations changed but not their personal details, i.e. you would not see the &apos;Edit user&apos; button in the top right of the image above. 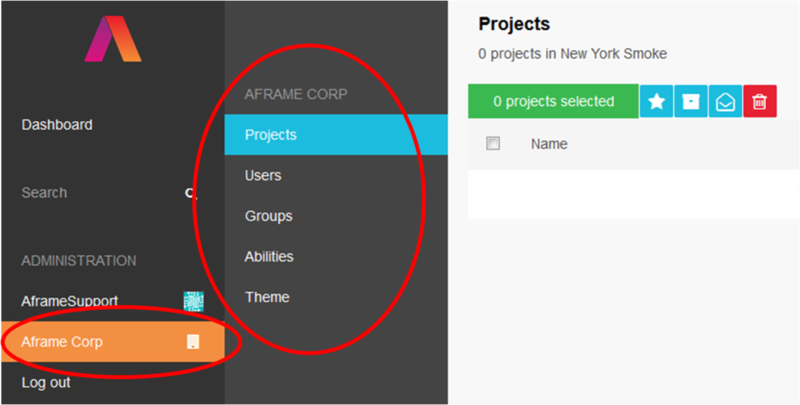 The &apos;Projects&apos; and &apos;Groups&apos; sections at the top of the image above allow you to remove the user from the listed projects or groups. 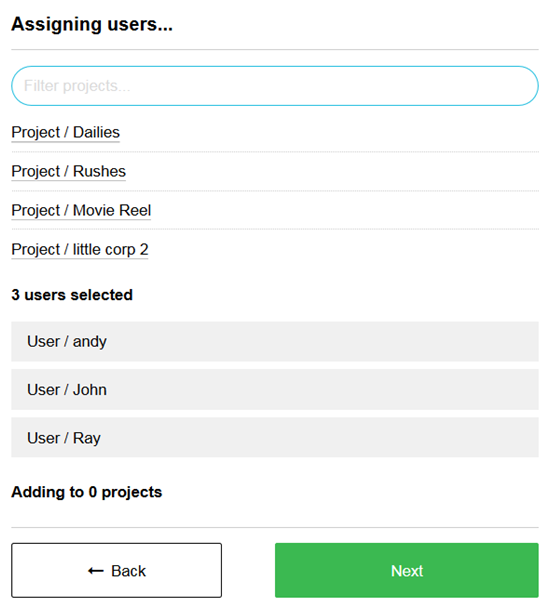 The two green buttons at the bottom allow you to add the user to groups or projects already created. See the next section on Groups for how to create one. The next menu down allows you to create groups from users that are on projects within your organisation, which you can then bulk invite to projects. Then you will be shown a list of all users that are on a project within the organisation, which you can add to this group. Note, you are simply creating a list of users here, so no invites or notifications will be sent. Looking at the image above, you have a few options here. 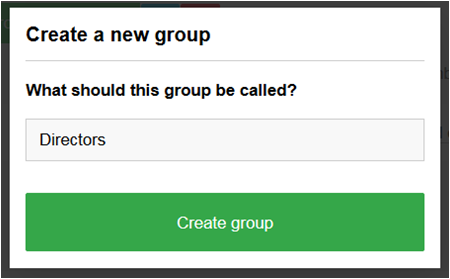 If you wanted to amend who is in the group, simply select the title of the group and it will return you to the members page, where you can add/remove users. This will bring up a list of projects within the organisation that you can then choose to invite the group to. 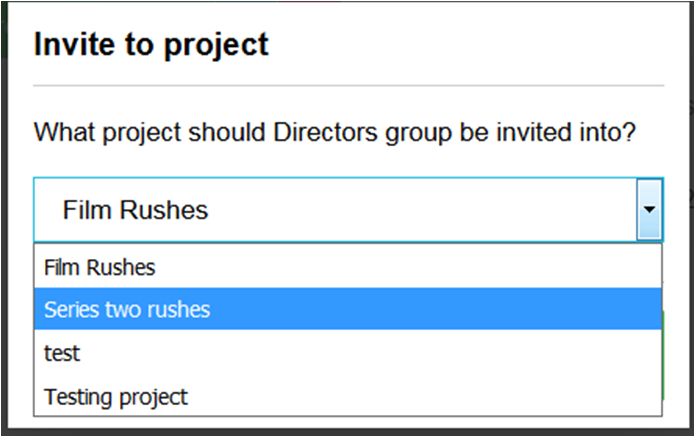 When you select a project it will trigger an invite to all users within the group. The other option you will see at the groups menu is the delete button . Select/tick the group you want to delete and then choose the delete button. Also look to the right of screen and you will see some filters, which you can use to help find the groups that you need. This menu allows you as an organisational administrator, to either disable or allow certain abilities to be active across your organisations projects. If abilities are enabled at this level, then they can be used on the projects within the organisation but project administrators can choose to disable at a project level. 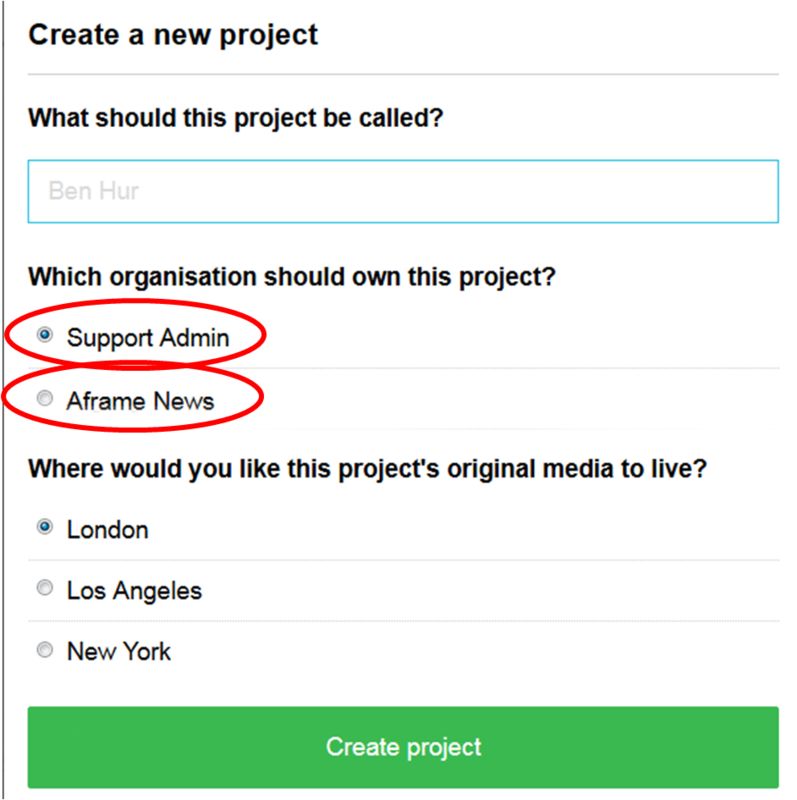 If you disable an ability, all users on all projects owned by your organisation will not see this as an option. Project administrators will not be allowed to re-enable something that is disabled by organisation. Likewise, if you go into abilities and some of them are disabled but greyed out, this mean the ability has been removed at an account level by an account administrator. To change any of the available abilities, select either disable or enable and hit save. All available abilities will be enabled by default. The Theme menu gives you the ability to set a logo for your organisation, so that when share links or invites are sent they include your logo and any themed colours set. Using the highlighted sections of the image above, choose whether to have a dark or light background, then colours for your buttons and highlighted sections of a link. Select the Aframe logo to get the option to upload a company logo and then finally &apos;Save&apos;. You can always use the revert button to go back to Aframe defaults.